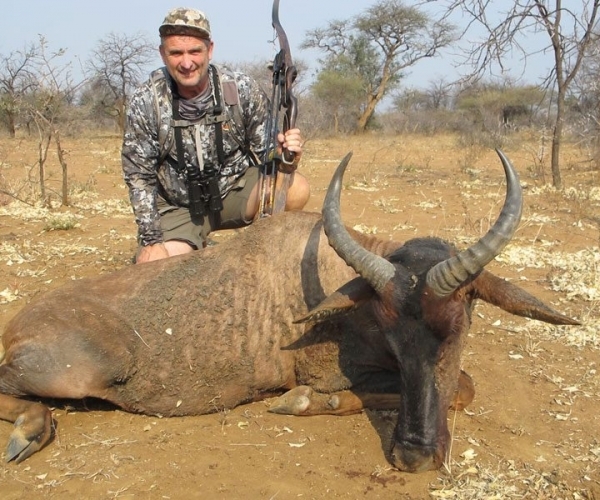 What a season we have had hunting Melorani, shared with some fantastic clients. Many were repeat clients who have become part of the Melorani family. Conditions for bow hunting were tough. We thought the drought would make it easy this year but how wrong we were. The wind seemed to play havoc day after day, swirling back and forth warning the animals that the blinds were occupied. Trail cams proved that when the blinds were unoccupied the animals streamed in to the waters and licks, but stopped abruptly when I client moved in. Despite the slower than usual activity at the blinds, we had our best year ever financially, thanks to the higher dollar buffalo and sable hunts. 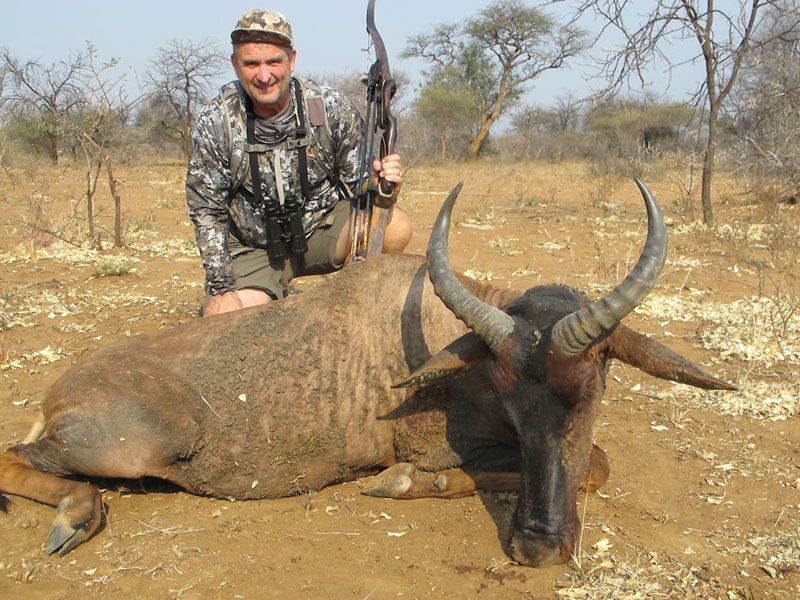 This year we did 4 buffalo hunts and every one was killed with a single arrow within 80 yards of where he stood when shot. It was also the year of the sable! Ten were shot in total and some magnificent ones at that. 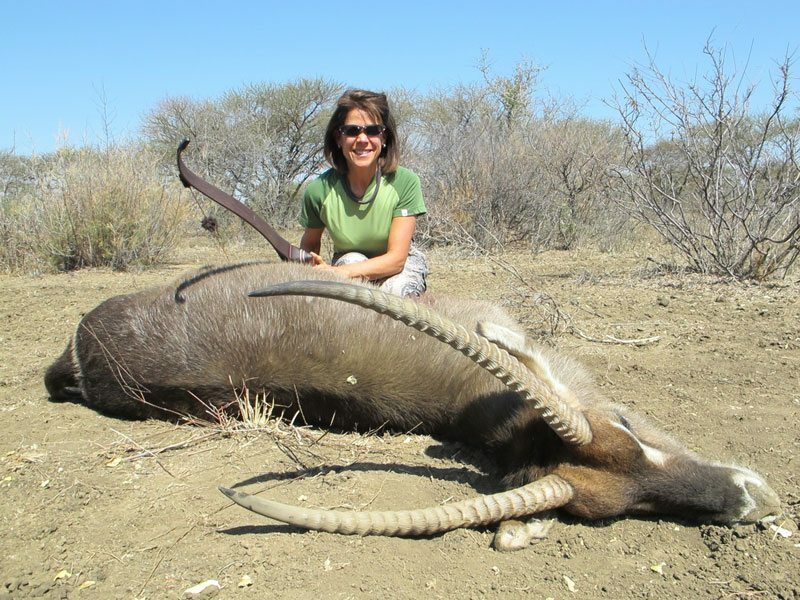 Far fewer warthogs and impala were taken off this year. Normally 50% of our off-take is comprised of warthog and impala but they remained skittish throughout the season. Despite this, a great selection of outstanding trophies were hunted, some of them pictured in this newsletter. Some not pictured are because I personally wasn`t on the follow up. There has been a major development which will affect the future of Melorani. The land has been under a land claim for restitution to the previous occupiers, said to have left between 1913 and 1918. We have occupied the property since 1918 and cannot vouch what transpired before my grandfather arrived. We have fought the claim since 2008 when we were notified of the claim, and could continue to fight the claim. 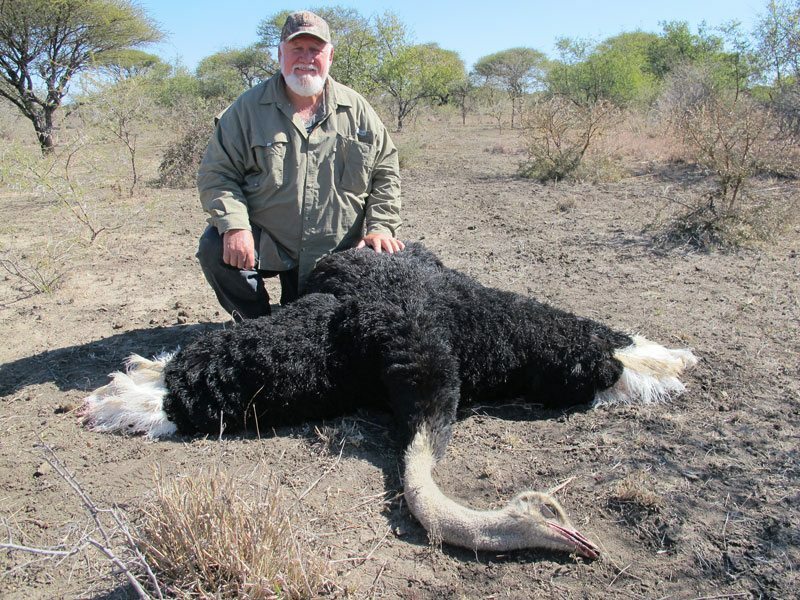 However, the political landscape looks threatening, especially in our district where fewer and fewer farmers are still on the land, unemployment and crime has climbed and incidents of poaching are on the increase. In addition there is an ominous groundswell amongst many black people to occupy the land as they did in Zimbabwe. Without solutions to land reform, that remains a distinct possibility in the future. As a family we decided to negotiate the sale of the property with the government, while they could still afford to pay a reasonable settlement for the property. We don`t see that option will remain open for much longer. It is fortunate that we did that as we have secured the capital of the land and are currently leasing the property back and we can continue to do business as usual. We are now taking our negotiations to the next level. We want to grow Melorani and are negotiating a joint venture with government who will act on behalf of the claimants. A proposal has also been made by us to incorporate neighboring properties which also have been bought out and to make a large reserve that could ultimately hold the big 5 and offer tourism opportunities as well as hunting. There is a risk in doing this as there are very few success stories to date due to the high expectations of the claimants and also because of the lack of industry knowledge. We are working with high level ministers and hope that we can make a working example, as government too is keen to show that their land reform programs can work. 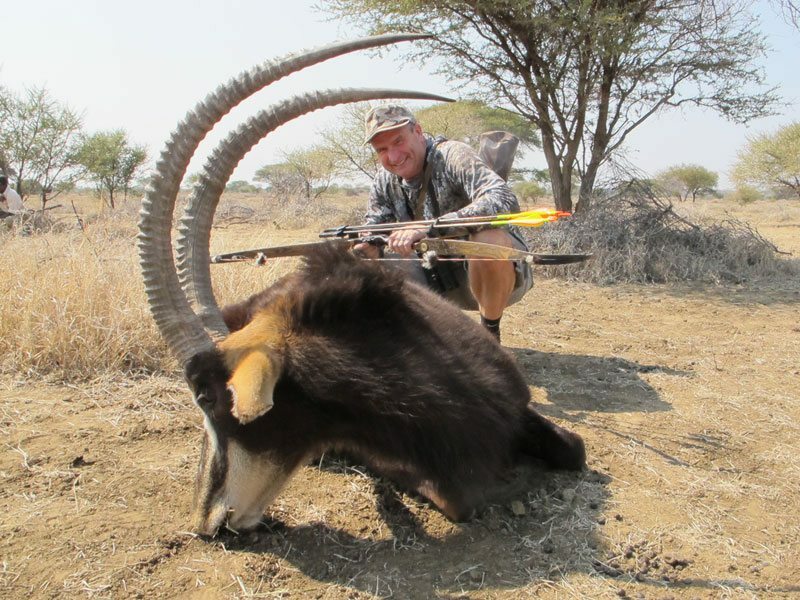 In the meantime, I am starting my own safari company in the Eastern Cape and am currently looking at various concessions for both rifle and bow hunting. 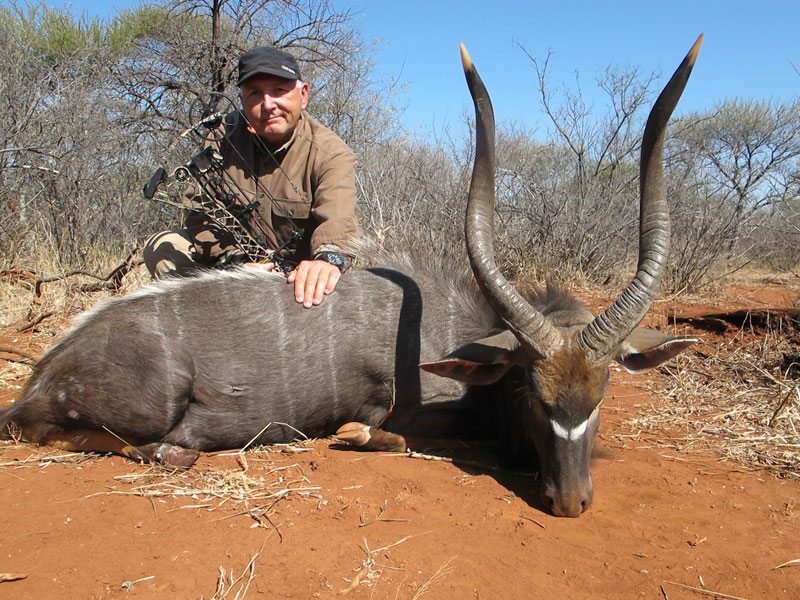 Stewart Dorrington Safaris will link up with the best operators in the E Cape and the rest of Southern Africa. 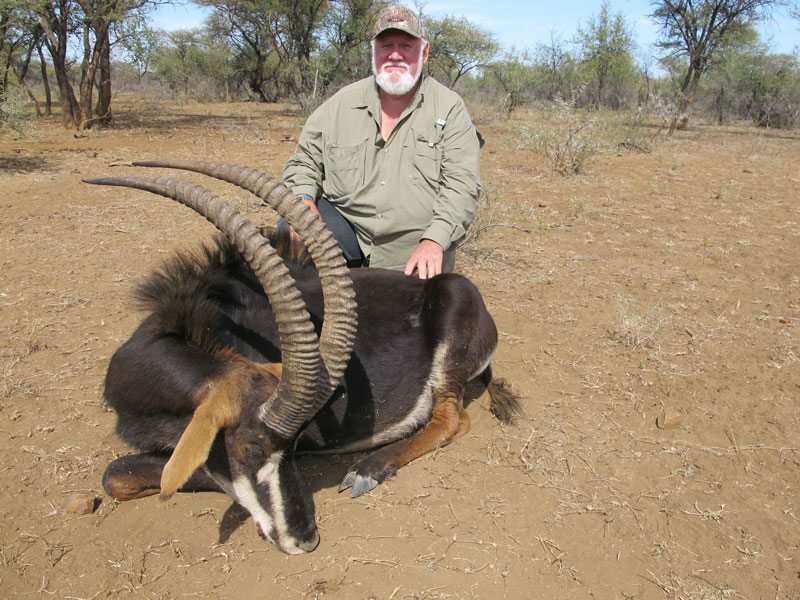 After being in the industry for 30 years and serving many committee and organizations, I have built up friendships with many of the best hunting operators in the country who are willing to work with me and through them I can offer the best of all Africa. And the E Cape also has some great fishing, shark fishing from the beach, rock and surf, estuary and bass fishing aplenty. On the family side Roscoe (15) and Richard (14) will both be in boarding school next year. Bron and I will have to get used to having an empty house which is going to be especially tough for her as the boys have been central to our lives for so long. Bea is 86 and still living on Melorani and keeps the staff on their toes and all her pets fed daily. 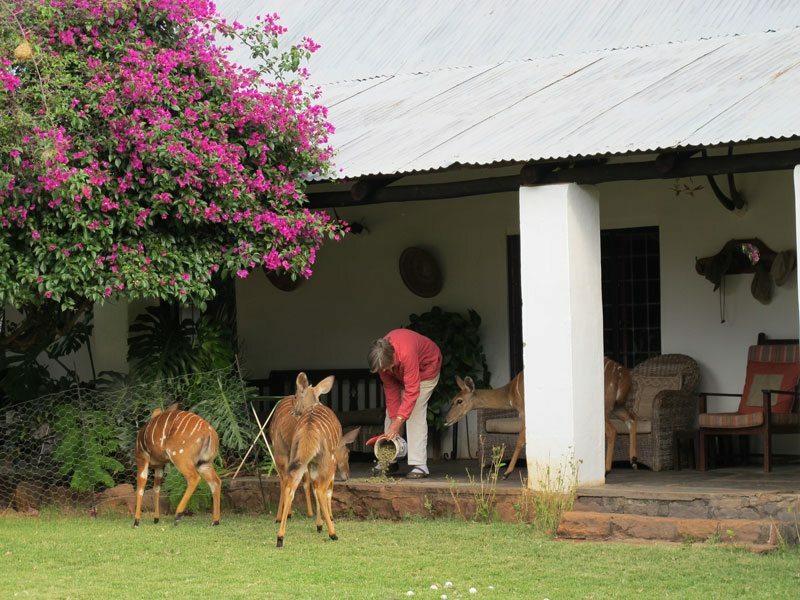 It is a unique spectacle to spend an evening on the verandah watching her tame nyala, kudu and guineafowl coming to be fed. With Xmas approaching we are still hot and dry on Melorani but the weather has changed and there is rain starting to fall in the area. Our extended family will all be on Melorani for Xmas and to welcome in the new year. I trust all of you will also have a very happy Xmas and new year. If you read this, do drop us a line as we love to stay in touch with you all. Stewart, Bronwyn, Roscoe and Richard.